My personal library did well this holiday season, thanks in large part to my husband buying up half my Amazon wish list. I also just received my much-anticipated, limited-edition, signed copy of Miniatures: The Very Short Fiction of John Scalzi, but that didn’t make it into the Christmas-gift pile because I pre-ordered it for myself back in July. Just had to share a little bit of excitement: I won a book! And it arrived today! 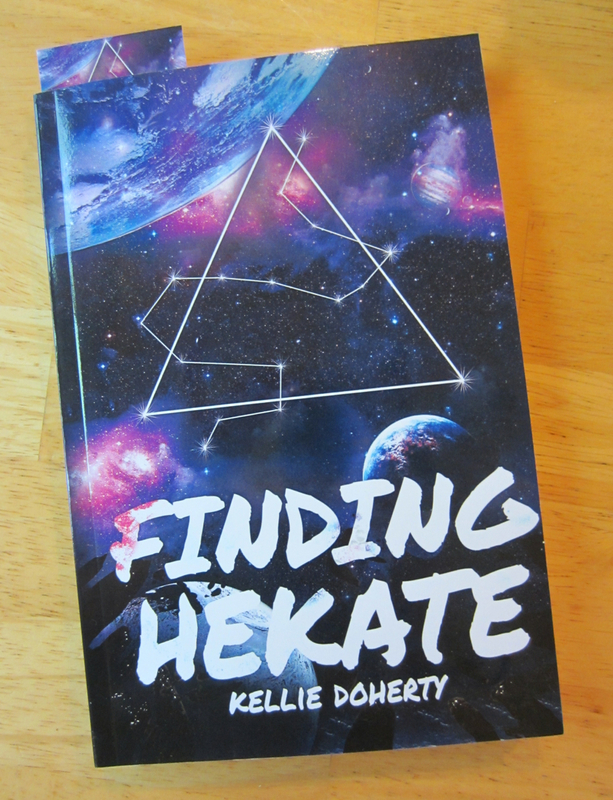 That’s right, my mailbox today contained a free, signed copy of author and blogger Kellie Doherty‘s debut novel, Finding Hekate. AND it came with a matching bookmark. At this point, all I can tell you is that the cover is awesome, the description is intriguing, and I got a free book in the mailbox and mail really doesn’t get any better than that. Except for maybe the fancy sock yarn that arrived earlier this week as a late Mother’s Day present. It’s been a good week for mail. On the reading front, I’m busy with Notorious RBG, about the life and legal opinions of Supreme Court Justice Ruth Bader Ginsburg. (You may recall that this was one of the books I got for Christmas.) RBG is an amazing woman; her biography is also a sobering reminder that it really hasn’t been that long since women were expected to quit their jobs when they became pregnant and it was assumed that we couldn’t be family breadwinners. When it comes to listening, I’ve let my obsessive side out and am binging on the Never Not Knitting podcast. It’s good to have on during my commute or when I’m making tedious figures for my thesis—the podcast is cheery and fun, and I can keep up if I miss a word or two here and there. I’m also binge-watching the first season of House on Netflix. Don’t ask me why—it’s a good show, but not great—but I just keep turning it on. (Note that “binge-watching” for me means two or three episodes a week; who has time to watch multiple hour-long episodes in a row?!) We also have a regular roster of current shows on the DVR: The Flash, Supergirl (and the crossover between those two, which was hilarious and wonderful), Agents of Shield (meh), D.C.’s Legends of Tomorrow (yes, there’s definitely a theme here), and The Big Bang Theory (yes, we still watch this). What are you reading/listening/watching lately, readers? Any suggestions for me? I wasn’t the only one to unwrap a bunch of new books for Christmas. Shown above are only about 1/3 of the books Little Boy received—the rest were already scattered around the house and car by the time I thought of taking a picture. You might recognize that the second book is the classic The Polar Express, lovingly selected by my husband, who has fond memories of its magic. And look! 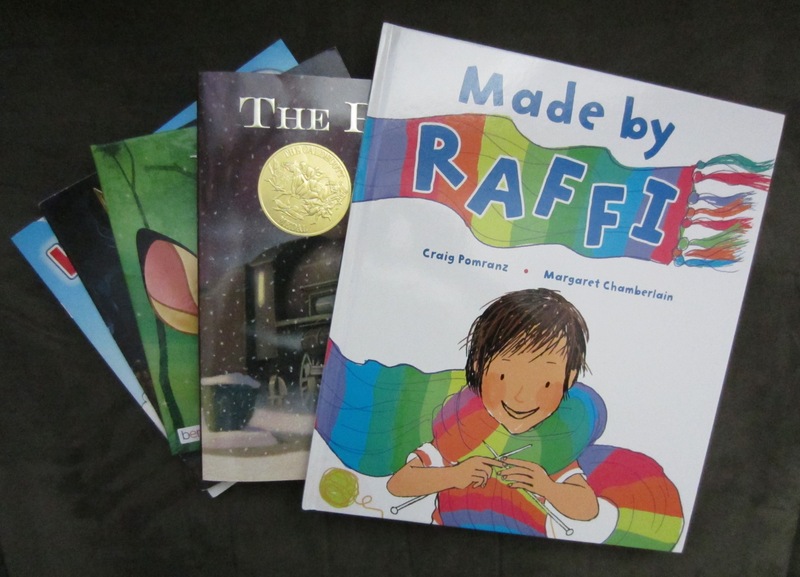 Santa brought Little Boy his very own copy of Made by Raffi, which, as you may or may not recall, I reviewed on here a while back. It is positive, colorful and—in what is a definite plus when you’re giving a book over to a toddler—doesn’t have a dust cover. 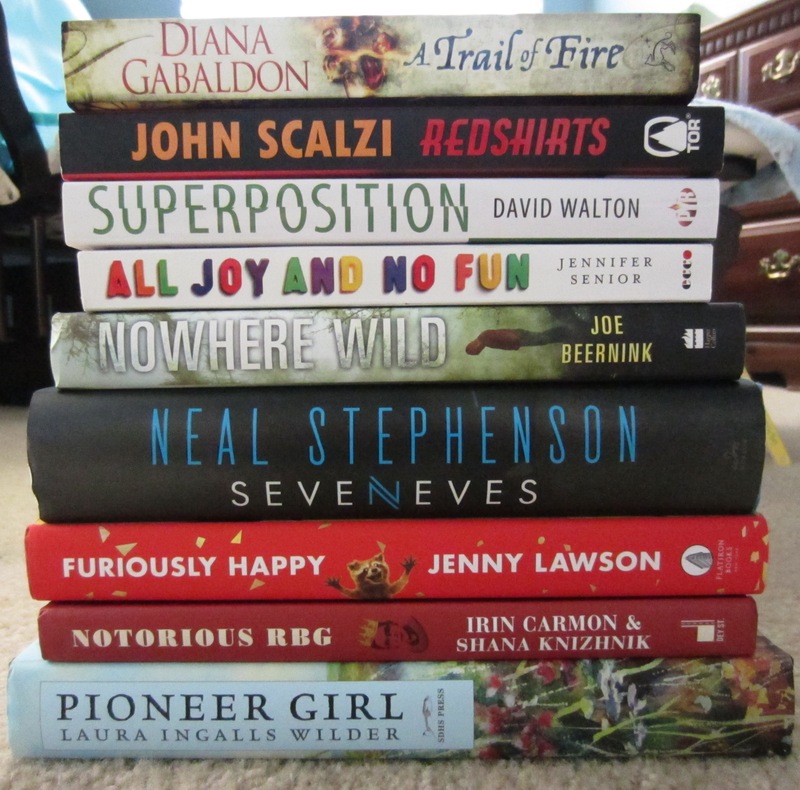 I got a whole pile of new books for Christmas—hooray! 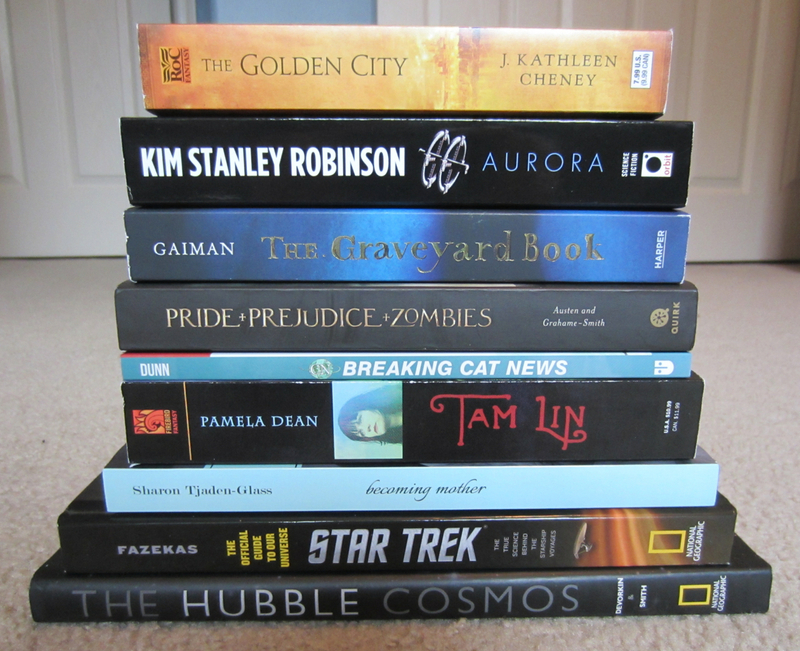 The stack of “books to read” on my nightstand, which had gotten dangerously low in recent months, has been replenished. Even better, these are all books I very much want to read, thanks to proper management of my Amazon wish list over the course of the year.